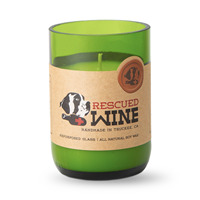 Our repurposed wine bottle products give back to animal rescue groups and are inspired by wine. We believe in using the best ingredients available and choosing to be environmentally responsible. 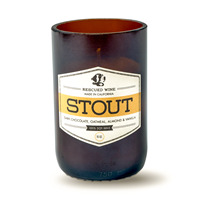 100% soy candles made in America. Cheers! Over the years, we have grown by sticking to our roots, quality and care in everything we make. These beliefs ultimately guide us in producing a high quality, one-of-a-kind candle with a greater purpose. Our candles are not manufactured by the thousands in a factory, but are hand-poured and hand-blended in small batches in-house in our California studio using artisanal techniques. 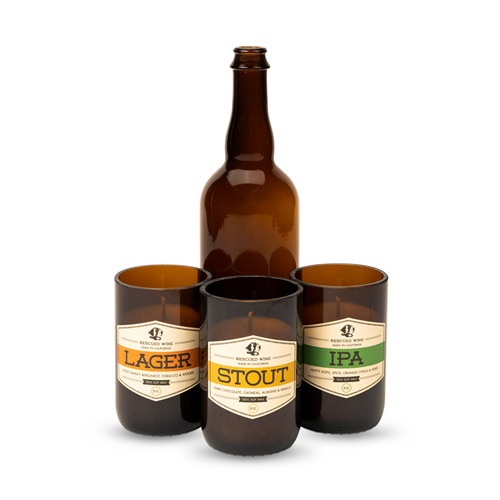 Using the best ingredients available and choosing to be environmentally responsible. 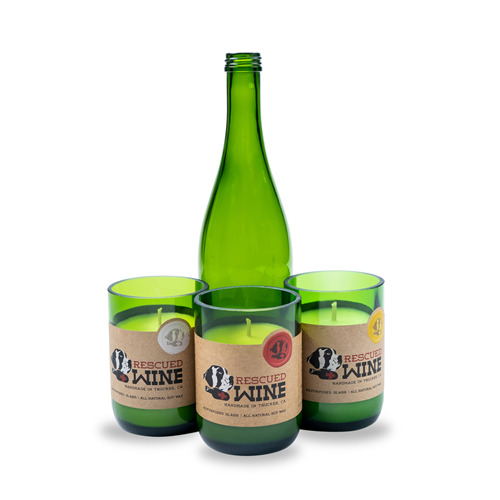 We aspire to re-purpose wine bottles with new candle life. 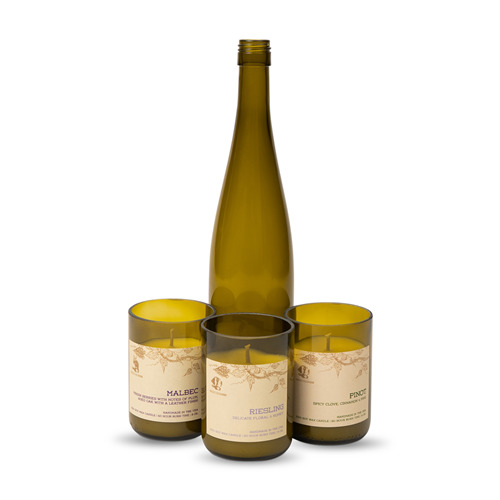 Wine bottles are collected, cleaned and cut by hand, creating eco-friendly soy candles with fragrances inspired by wine. We strive to help animals in need by donating a portion of our sales to animal rescue groups. Using the best ingredients available and choosing to be environmentally responsible. 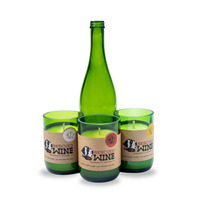 We aspire to re-purpose wine bottles with new candle life. 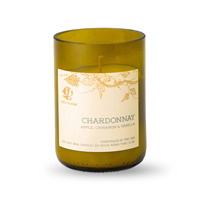 Wine bottles are collected, cleaned and cut by hand, creating eco-friendly soy candles.